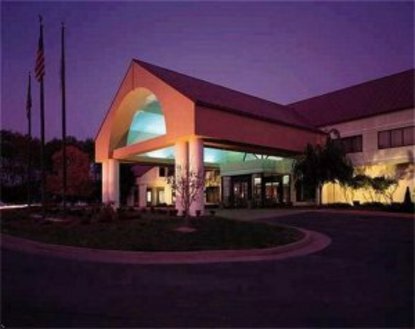 The Doubletree Guest Suites Cincinnati/Sharonville hotel, just off I-275 at the Reed Hartman Highway Exit (#47) in Northern Cincinnati on the border of Sharonville, Ohio, and the Blue Ash Business District, offers comfort and convenience to business and leisure travelers. Greater Cincinnati/Northern Kentucky International Airport is less than 45 minutes by car, and our hotel offers easy access to I-71, I-75 and all major thoroughfares.Doubletree Guest Suites Hotel Cincinnati/Sharonville Features Include An inviting welcome complete with a warm signature Doubletree chocolate chip cookie, The Bistro Cafe and Lounge offers excellent dining featuring creative American cuisine for breakfast, lunch, and dinner, Our well-equipped fitness center, outdoor pool and whirlpool, where guests can keep a good health regimen, 2,100 square feet of versatile, state-of-the-art meeting space including an elegant ballroom that can accommodate 200 people, Convenient 24-hour business center.Doubletree Guest Suites Hotel Cincinnati/Sharonville Guest Rooms Feature Wireless high-speed Internet access throughout the hotel and in all 152 two-room luxurious guest suites, Exceptionally comfortable Sweet Dreams by Doubletree beds, Modern conveniences - generous work surfaces, two-line phones and data ports - so you can stay productive and connected, Executive Suites with modern amenities and full desk and conference table.Doubletree Guest Suites Hotel Cincinnati/Sharonville Neighborhood Neighbor to Kings Island, The Beach Waterpark and plenty of shopping and dining, Minutes from dozen of corporations - Procter & Gamble, Ethicon/Johnson & Johnson, GE and IBM.At the Doubletree Guest Suites Cincinnati/Sharonville hotel, you'll receive personal attention in warm surroundings. We look forward to welcoming you to the Cincinnati, Ohio area with our special, signature warm chocolate chip cookie at check-in.